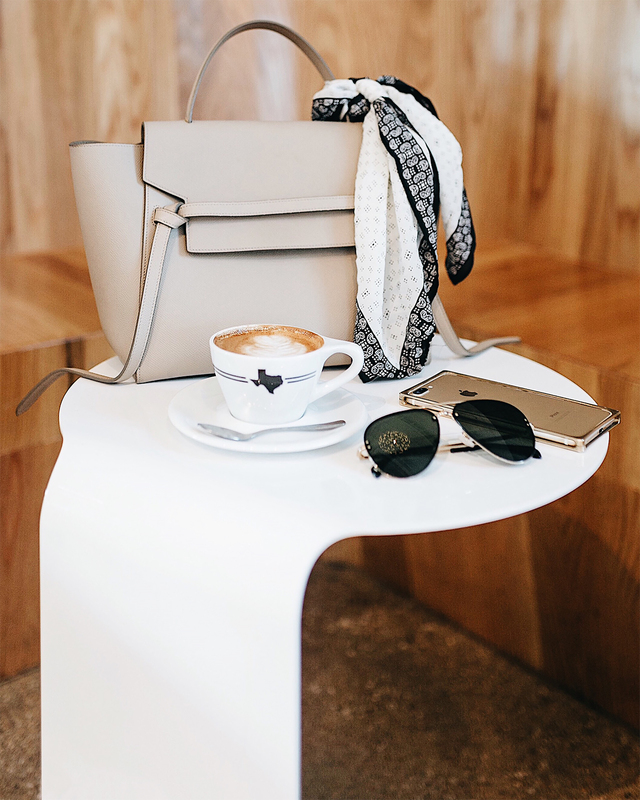 With all the coffee shops Dallas has to offer, and there are a lot, there are however a few that stand out to get the perfect Instagram snap. 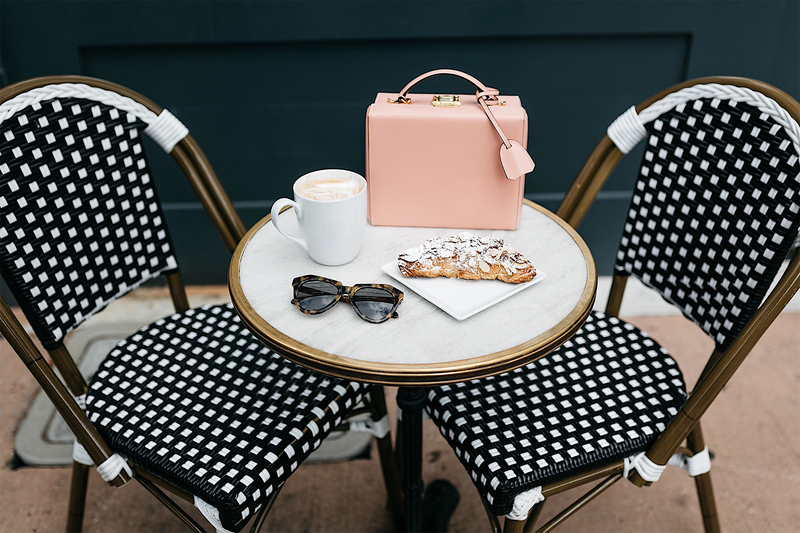 Whether you favor white marble tables or industrial settings, graphic images or quiet corners, these 10 coffee shops in Dallas have definitely proven themselves Instagram worthy. 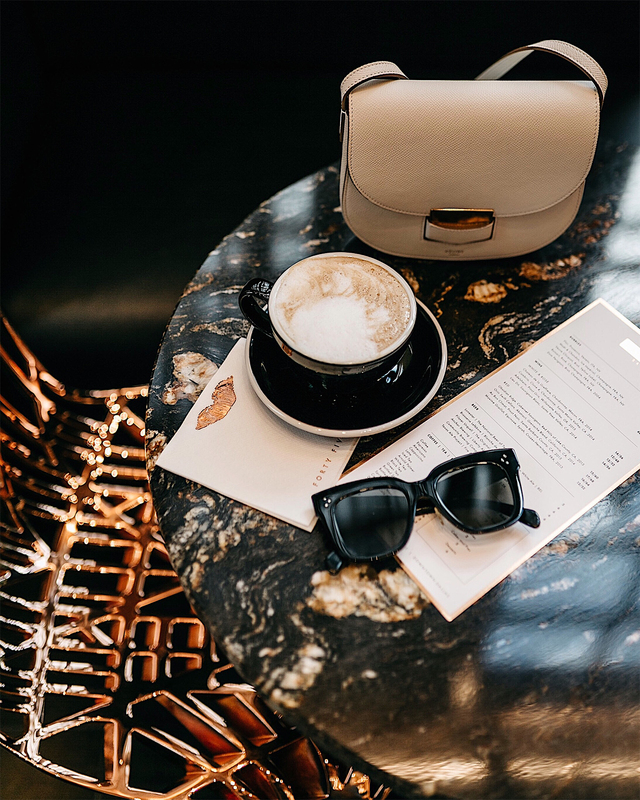 My personal favorite is Weekend Coffee at the Joule Hotel; you've probably seen me share this on Instagram Stories numerous times. 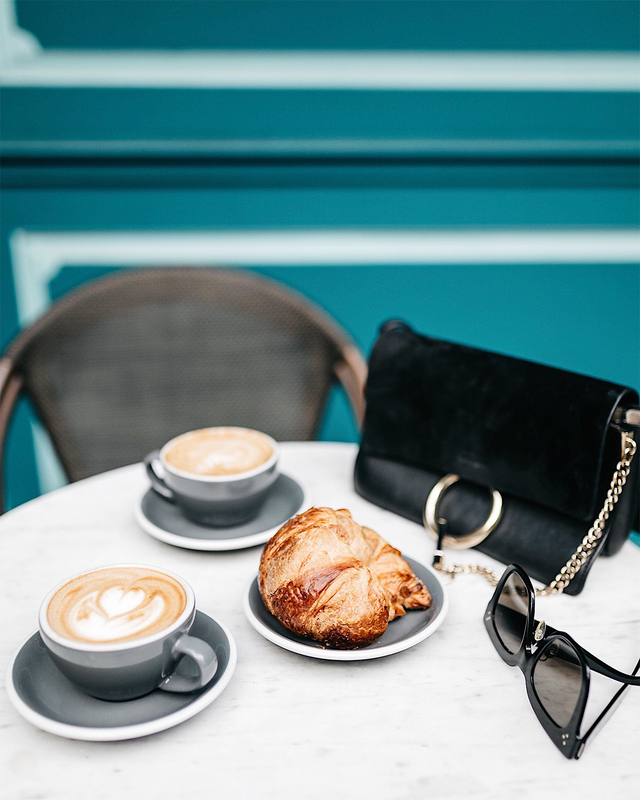 There are always new coffee shops popping up in Dallas, so tell me, what are some of your favorite spots to snap the perfect Instagram image? Boulangerie: The delicious pastries paired with the bistro table & chairs quickly remind me of Paris. Located on Lower Greenville and surrounded by amazing restaurants. Royal Blue Grocery: Located in Highland Park Village, this grocery store also offers Stumptown coffee, pastries, and breakfast tacos. 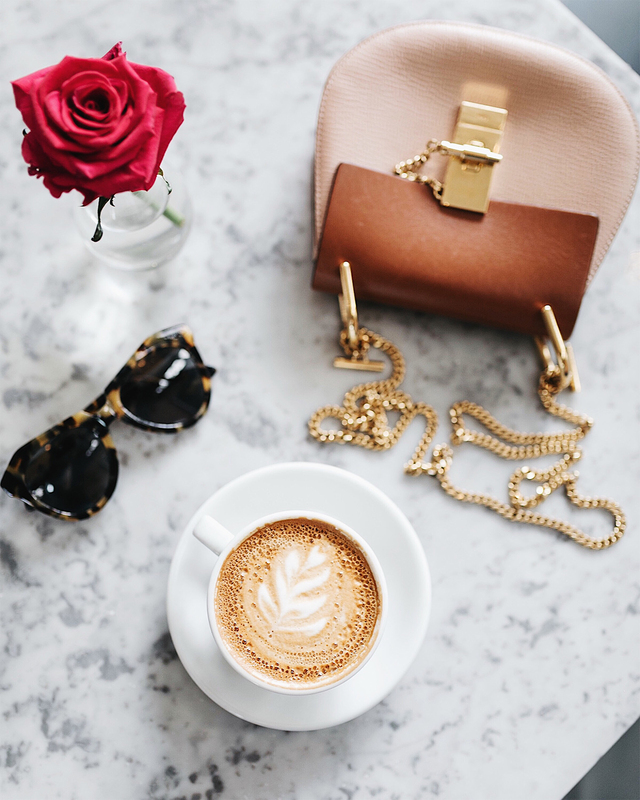 The marble tables creates the perfect backdrop for your coffee shot. 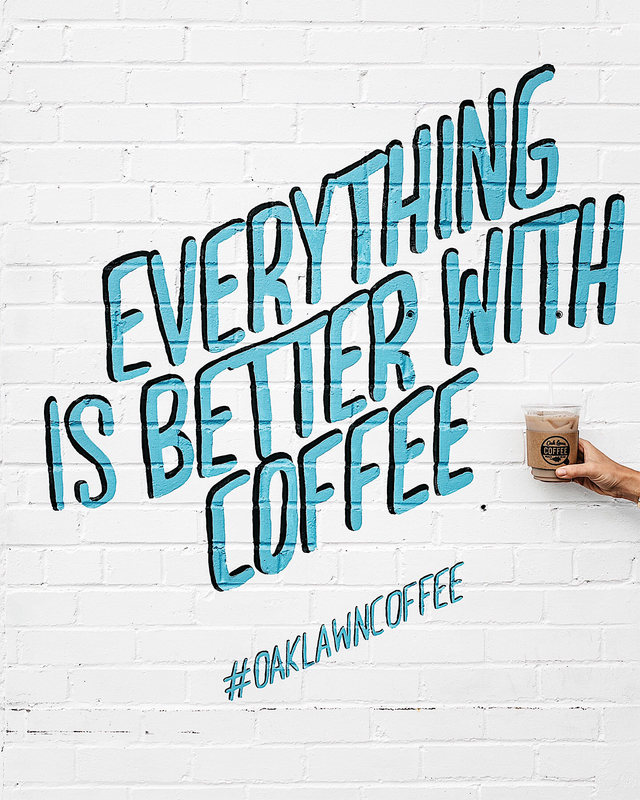 Oak Lawn Coffee: Mainly known for their wall sign "Everything is better with coffee." Cozy and great for grabbing a quick coffee to go. Cultivar Coffee Bar & Roaster: Located in Oak Cliff, this coffee bar features handcrafted espresso drinks, fresh roasted coffees & artisan sandwiches. Magnolias Sous Le Pont: In the Harwood District between Uptown and Downtown is this hidden gem. 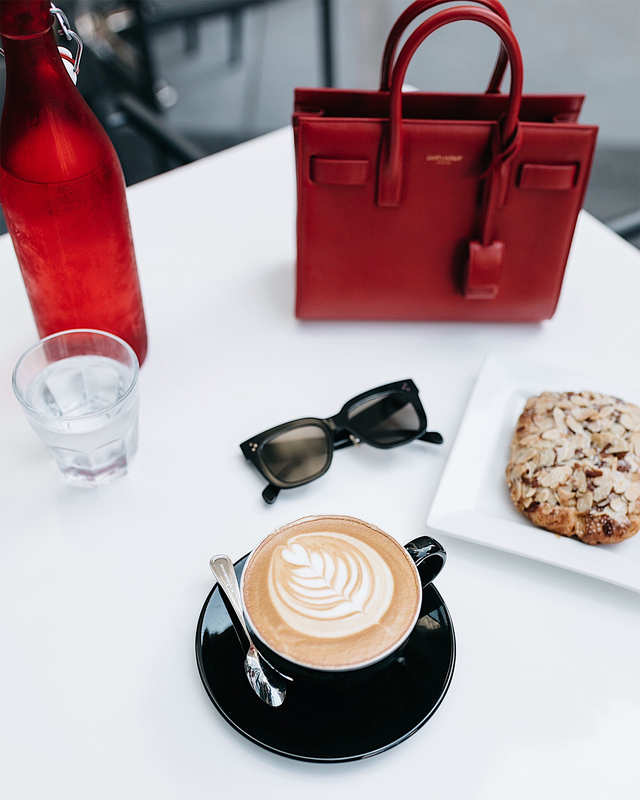 Known for the turquoise exterior, chevron wood floors and black & white tile interior, this coffee shop is one of the best for Instagram images. Forty Five Ten: Downtown Dallas & inside Forty Five Ten at the opulent Copper Bar. 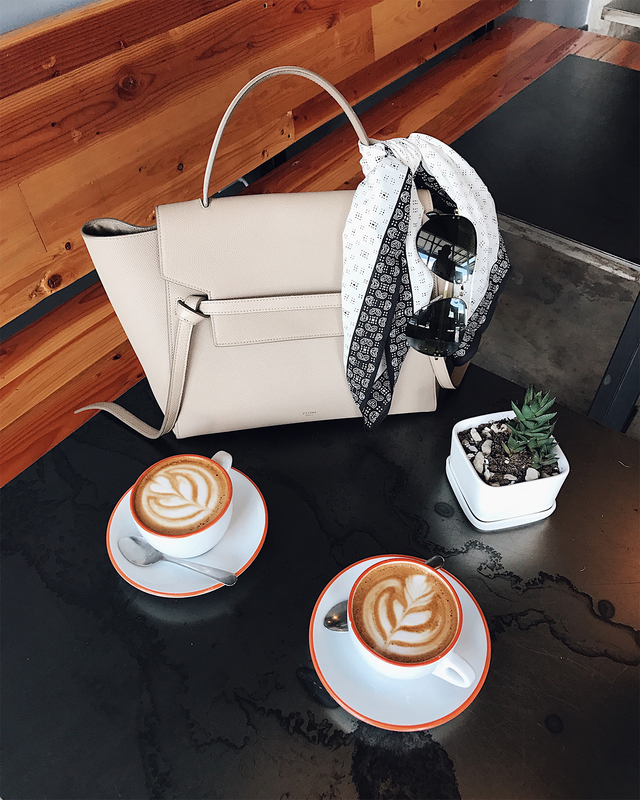 It may be the most expensive coffee trip you make - I dare you to shop at Forty Five Ten and not take home a gorgeous new handbag. Local Press + Brew: Locally sourced bringing you farm to bottle cold-pressed, organic juices served in glass bottles + classic coffee & espresso drinks. If you like matcha - this is your place! I love the open atmosphere, especially on a beautiful day. Ascension Coffee: With three locations in Dallas, this coffee shop is one of my favorites. 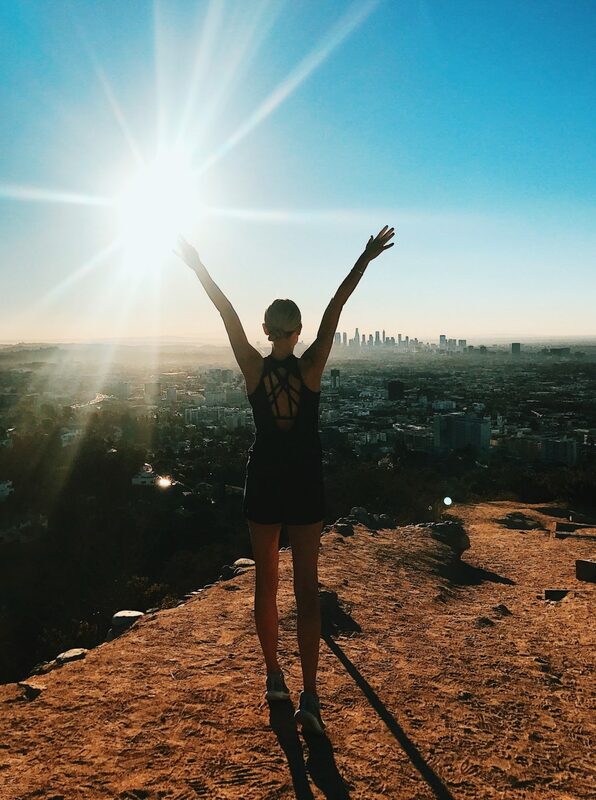 Choose from Downtown, Uptown, or the Design District. I'm not only a fan of their coffee but also the brunch! Try the avocado toast or granola - both are favorites! Houndstooth Coffee: Two locations - one on Henderson, but the one I'm featuring is Sylvan | Thirty. The location is larger, more open, airy and bright, creating a relaxing atmosphere for morning coffee. 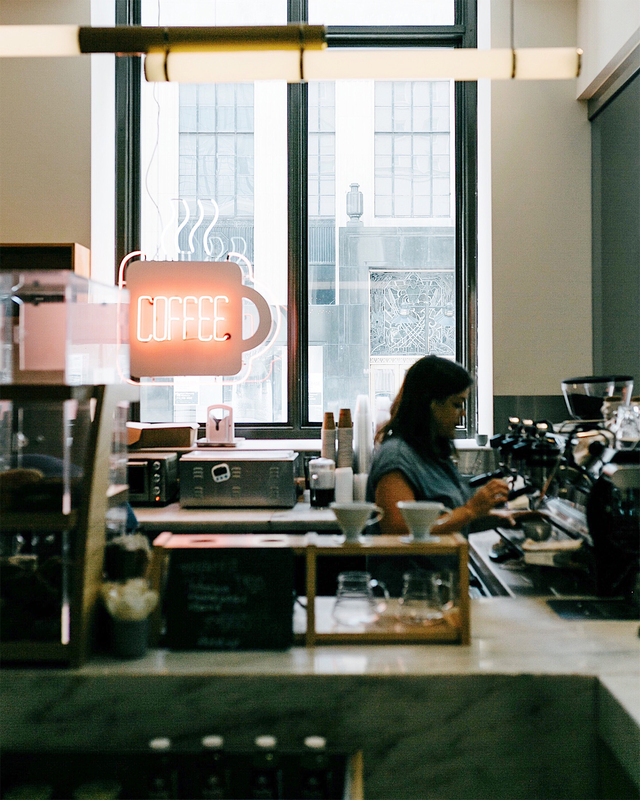 Weekend Coffee: Downtown inside The Joule Hotel. Great place to "work from home". The pastries are fantastic and if you get their early enough, they have breakfast burritos. My favorite drink is either an iced Californian or iced chai latte. 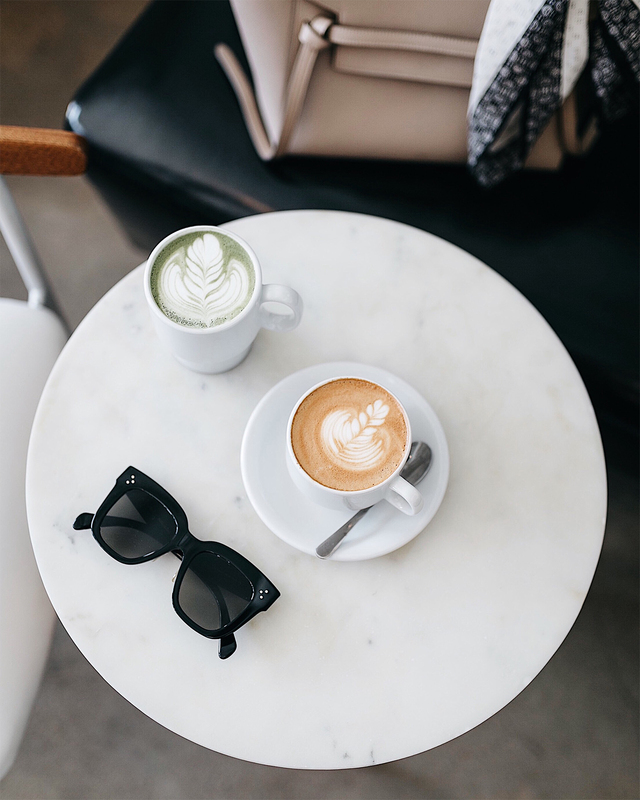 Oh how I’m always looking for new coffee shops to try in Dallas – so I’m obviously loving these options! Weekend Coffee is also a fav of mine! Thanks for all the great suggestions! Thanks so much & glad you enjoyed the post! Coffee date soon!